At present, preaching during Mass is a reserved only to male priests and deacons, silencing women’s voices and creating significant pastoral challenges to evangelizing 21st Century women and men who are hungry for preaching that translates Gospel values into their contexts and lived experiences. Prohibiting lay people – and any woman – from preaching a homily during Mass undercuts the Church’s ability to give trustworthy, authentic and prophetic voice to the whole human experience of living the Gospel. Pope Francis has repeatedly said that the Church needs to listen to women’s voices. 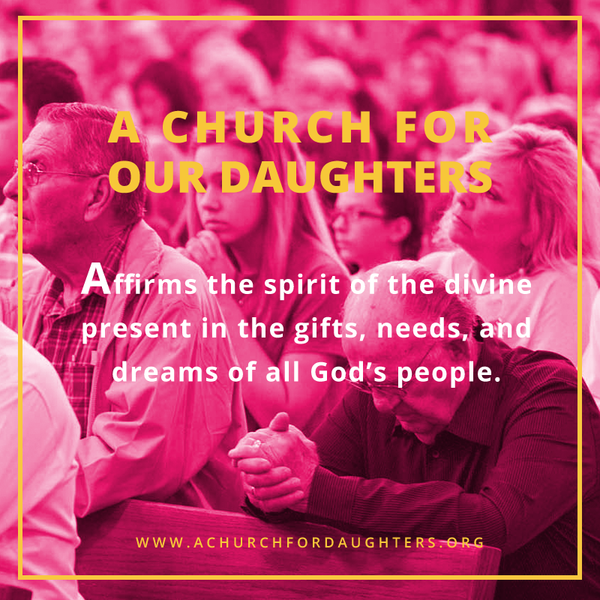 Empowering women to preach at Mass – to reflect on their experience of faith in this context – would be one powerful way the Church, the people of God and especially our daughters, could hear the voices of women. While all Catholics are called to reflect on and proclaim the Gospel in their daily lives, the homily is the primary way most Catholics hear the gospel translated into their lived context. In today’s poly-vocal world, if the Church is serious about fostering gospel values, we need trustworthy and convincing interpretations of the gospel. This will require the voices and interpretations of both men and women. Many women are already well prepared to preach homilies. They are theologians, authors, speakers, retreat facilitators, spiritual directors, chaplains and professional lay ecclesial ministers of every variety. Many of them have training equal to or even beyond priests and deacons. Still, many of them even teaching preaching or homiletics in our seminaries and yet are still barred from preaching a homily during Mass. Ultimately, however, the homily is not about the preacher – lay or ordained, male or female – it is about the God who speaks to us in and through Scripture. Empowering laypeople, and particularly women, would expand our vision of how God is acting in present reality and empower all Catholics to respond faithfully to the initiative of that God. Jesus himself entrusted women to do just that. Notably, it was Mary of Magdala, apostle to the apostles, who was first missioned by Jesus to proclaim the good news of his Resurrection (John 20:17). And women were among the earliest believers to spread the gospel through the ancient world. St. Paul names many of them in his letters: Phoebe, the deacon; Prisca, a coworker; and Junia, an apostle. “Many women have also demonstrated that they have the gift of inspired preaching, that they can explain the Word of God in a way so moving that it reaches the minds and hearts of their hearers and hereby strengthens their faith.